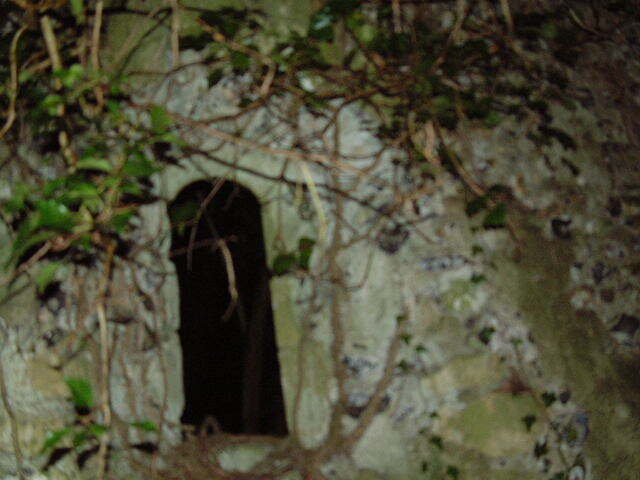 To revisit one of our favourite venues to investigate further the possibility of paranormal activity at this location. 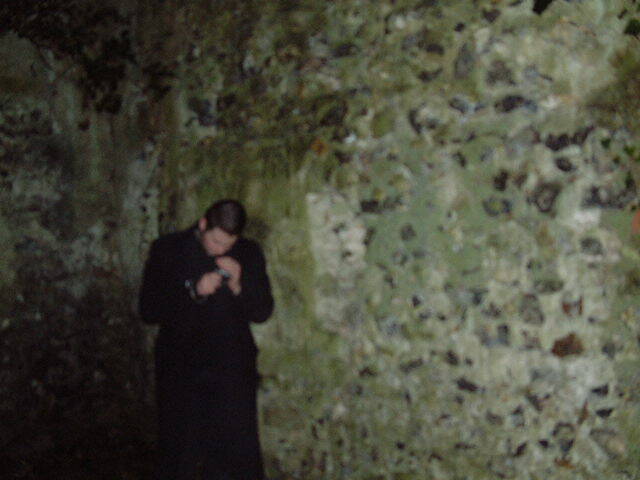 Ghost Connections have visited this location on numerous occasions and each time has had different and varied experiences, this is why it holds such a fascination for us. The tumbled down medieval church and the surrounding area is both eerie and tranquil at the same time it is a unique place. There is always evidence of previous visitors being either kids getting up to mischief or “alternative worship”! The clearing nearby the church has been man made and arranged deliberately, there’s a large stone in the clearing with a pentagram etched into it, markings and offerings tied to the large tree, all which suggest something out of the ordinary. Simply knowing sort of thing might be going on there does heighten your senses whilst you are there for a few hours of a night time! We have also had a number of unusual experiences here which is what draws us back time after time. Please refer to our previous investigation reports for more information on our previous visits. Nikon Coolpix 3100 digital camera. Olympus Camedia C-160 digital camera. Fuji Finepix 4900 digital camera. Fuji Finepix S550 digital camera. Ian, Paddy, Kim and Dave. No method was to be adopted as this visit was unplanned and at short notice, the plan was to simply go to the chapel and take it from there. Explore the area to see what has changed since our last visit and conduct some vigils. We had finished our night reconnaissance of the Western Heights in Dover earlier than expected so decided to fill the rest of the night with this return trip to one of our favourite outdoor venues. We arrived at 11.40pm and began walking slowly up the driveway towards Oxney Court where the path into the woods and the chapel starts. We could only have been about a few yards up the driveway before Paddy mentioned how uneasy he felt, which is unusual for him. Ian commented on having the same feeling but then he has never had a liking for the place. Halfway up the drive we all noticed some pulsating glows in the trees to the left of the gate to Oxney Court, we stopped and observed a few more before slowly carrying on to the top. Once there these lights seemed to disappear only to be replaced by something more remarkable. 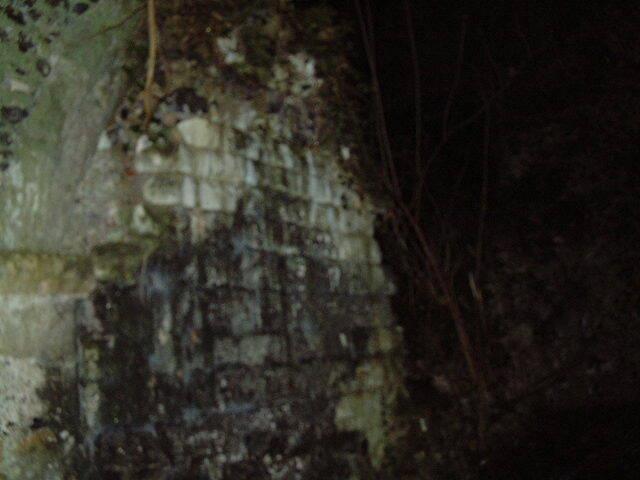 There were coloured glowing lights in the wooded area around the chapel, followed by a camera flash. We stood and silently stared into the woods not wanting to enter given that we did not know what was going on. There was a multitude of odd glowing lights all through the wood punctuated by intermittent pinpricks of bright white light, there were also continuing camera flashes from the area of the chapel. We were motionless watching this scene before us pointing out to each other each light anomaly and each noise we saw or heard. Then came the scream! This was no fox and was definitely the scream of a young adolesant female, we all looked at each other in disbelief before paddy checked his watch, it was 12.04am so the scream must have occurred at the stoke of midnight! 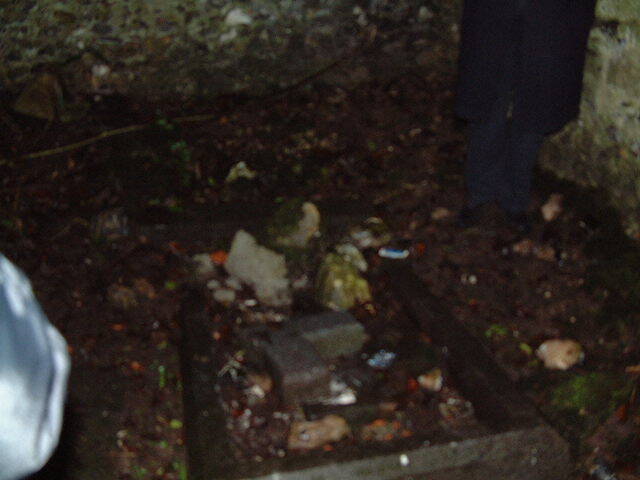 Some of us became a little unnerved by this point, especially as we had begun to sense movement and faint male voices in the woods, movement that appeared to be coming closer to us, there was also additional lights this time definitely torchlight. We quietly discussed what we thought we were seeing, kids, another groups investigation in progress, or were we watching and occult ritual actually happening? We decided this group seemed too organised to be kids, the tactics were too unusual to be another group investigating the chapel, so we defaulted to the last option. It seemed there were two groups of people, one by the chapel and one to the far right of us (we remained at the top of the drive looking into the woods) this was given away by the camera flashes. 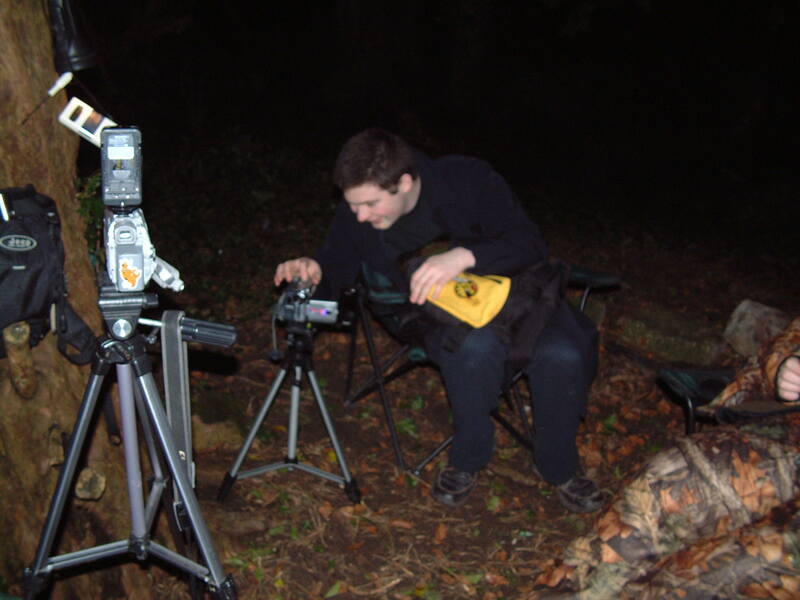 They also seemed have outlying guards in the bushes being the movement we detected and the occasional torchlight. We carried on the observation until we felt that these people were aware of us, as we somehow sensed the movement in the bushes was coming towards us, so after an hour we decided to make a stealthy exit down the driveway. We weren’t half way down when two or three very high powered torch beams suddenly shone out of the wood sweeping the area as though looking for us, the source of each beam could be seen to be moving through the woods so there were people on the move looking for us. We stopped behind some bushes half way down the driveway and watched as these beam of light moved around, but still no one came forward and challenged us? It was as though this was a deliberate tactic to try to drive us from the area once they had spotted we were there. As the torchlight died down we decided to carry on to the cars. At the cars we discussed the experience we had just had, we were all a little unnerved by the whole thing and still felt as though we were being watched. We drove up and down the main road passing other places one to could park to get access to the chapel but could see nothing or no one. That is apart from a 4x4 seen parked in the adjacent kennels car park on one pass but on turning around seemed to have gone? We returned to the foot of the driveway to park and discuss before deciding to leave, we left the site at around 1.00am. 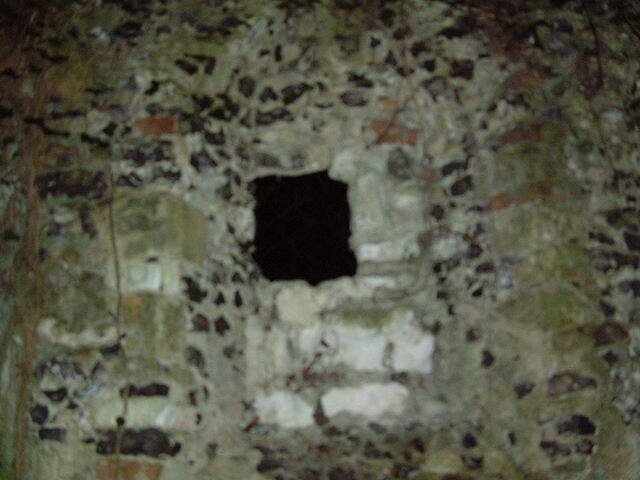 We have now been made aware that Spooky Thanet were at Oxney the same evening. We have been in contact with them and thank them for their invite of joining them on further investigations to this site. Multiple people, absolute minimum of 6/7 by more likely to be more. Highly organised almost semi-military style but flawed, possibly amateurs as the gave their positions away. Placing of outlying “guard’s suggesting they wanted to hide they’re activity. Attempts made to remove us from the area without revealing themselves. The female scream heard at midnight. Inexplicable coloured glows through the trees. Another possible entrance/exit into the woods. Two main groups of people around the chapel and to the right of our position as well as the extra people “posted” in the woods. These seem to suggest that there was some kind of occult ritual going on the night we chose to visit so we are attempting to contact experts within this field for further information on this. May be the date was significant or the moon phase, who knows? Needless to say this was an unusual experience for us all and once again Oxney Bottom didn’t fail to impress.